02 August 1943: Keel laid by the Mare Island Navy Yard, Vallejo, Cal. 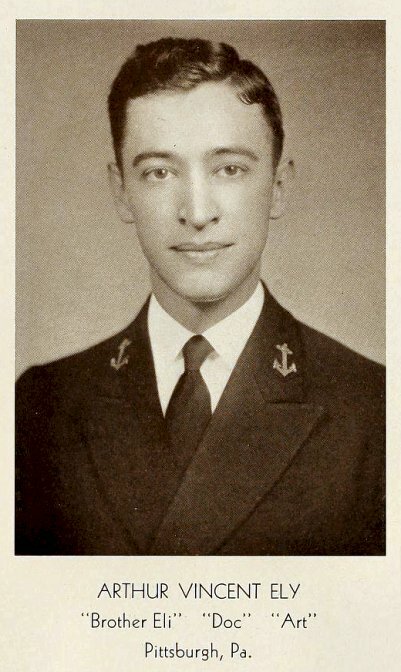 35k Arthur Vincent Ely, born 08 March 1912 in Pittsburgh, Pa., graduated from the Naval Academy in 1935, and after aviation training in 1938 joined Torpedo Squadron 6. Lieutenant Ely's plane was shot down 4 June 1942 in the Battle of Midway. For his vigorous assault on Japanese forces, he was posthumously awarded the Navy Cross and the Purple Heart. USS Ely (DE 309) was the first ship to be named in his honor. 116k 10 April 1944: Distinguished guests at the launching of USS Ely (DE 309). Left to right: Capt. 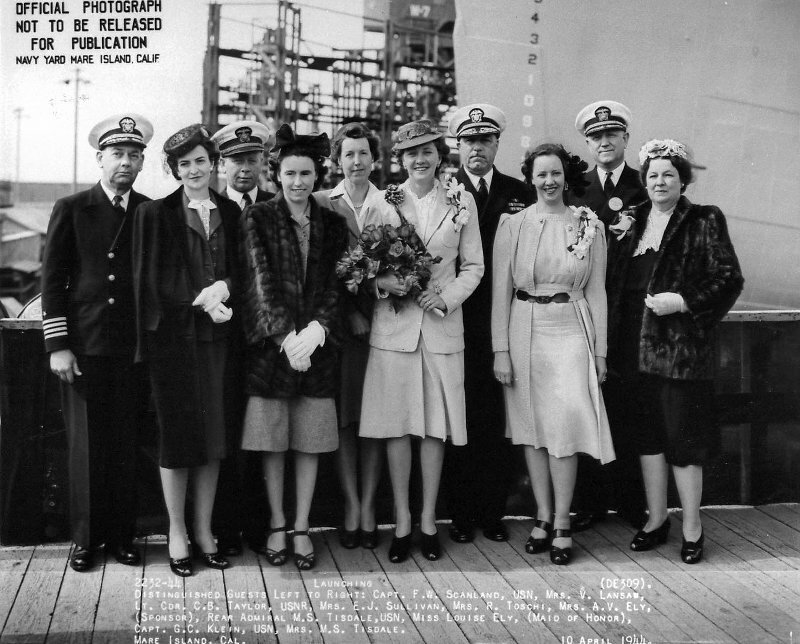 F. W. Scanland, Mrs. V. L. Ansaw, Lcdr C. B. Taylor, Mrs. E. J. Sullivan, Mrs. R. Toschi, Mrs. Ann. G. Ely (Sponsor), Radm M. S. Tisdale, Miss Louise Ely (Maid of Honor) Capt. G. C. Klein, Mrs. M. S. Tisdale. 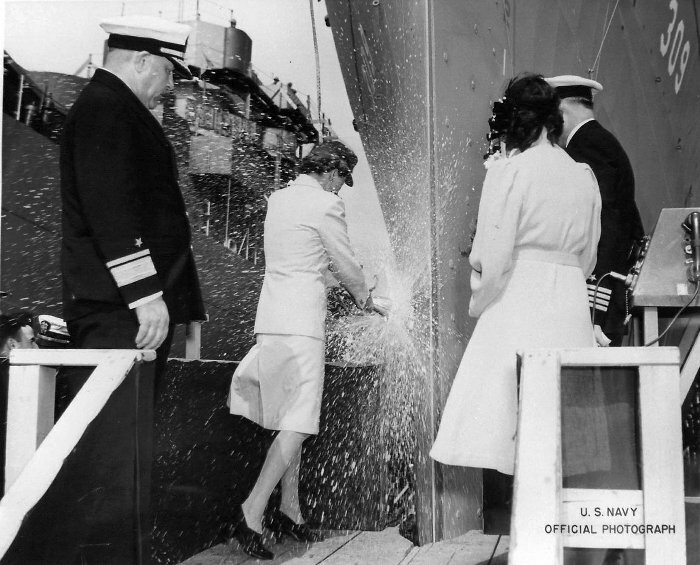 91k 10 April 1944: Mrs. Ann G. Ely (Sponsor) christens Ely. Left to right: Radm M. S. Tisdale, Mrs. Ann. G. Ely (Sponsor), Miss Louise Ely (Maid of Honor) and Capt. G. C. Klein. 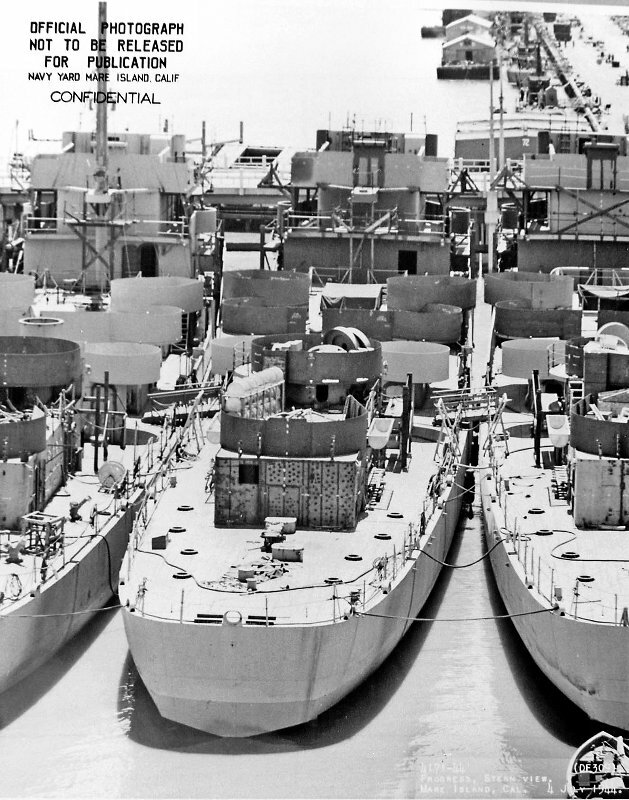 124k 03 July 1944: Bow view of a nest of "never to be completed" destroyers escorts at Mare Island. 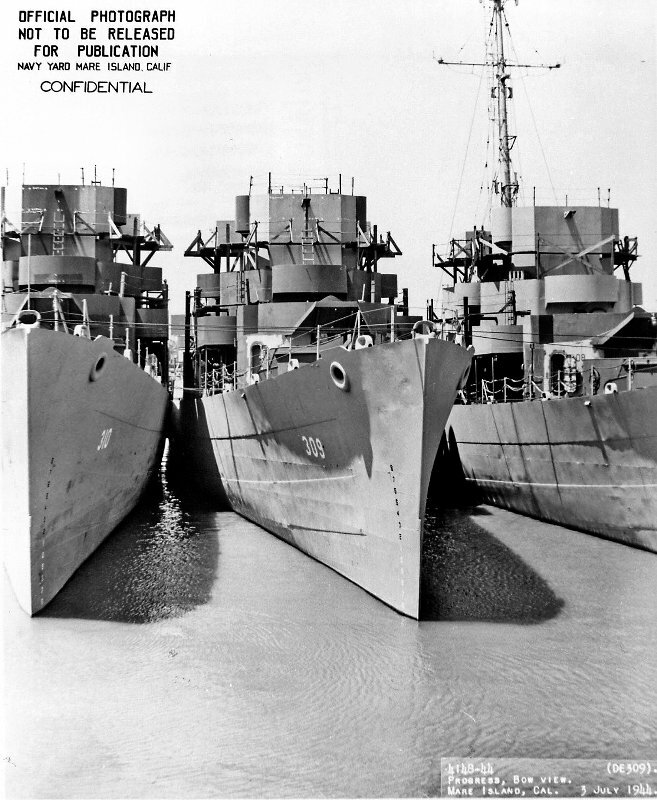 Left to right: USS Delbert W. Halsey (DE 310), USS Ely (DE 309) and USS Creamer (DE 308). 141k 03 July 1944: Stern view, nest of above listed "never to be completed" destroyers escorts.